Achieving modern-day Royal Wedding vibes isn't as hard as you think. It was initially rumoured that Markle would do her own wedding make up Kate Middleton style, but her now iconic Bridal look was created by Celebrity Make Up artist and friend Daniel Martin. Meghan allowed her natural beauty to shine through with minimal coverage. The star of the look was her eyes that were finished with a subtle smokey eye. For modern brides hoping to achieve this effortless look for their big day, we asked Celebrity and Bridal Make-up artist Sonia Allen to weigh in. 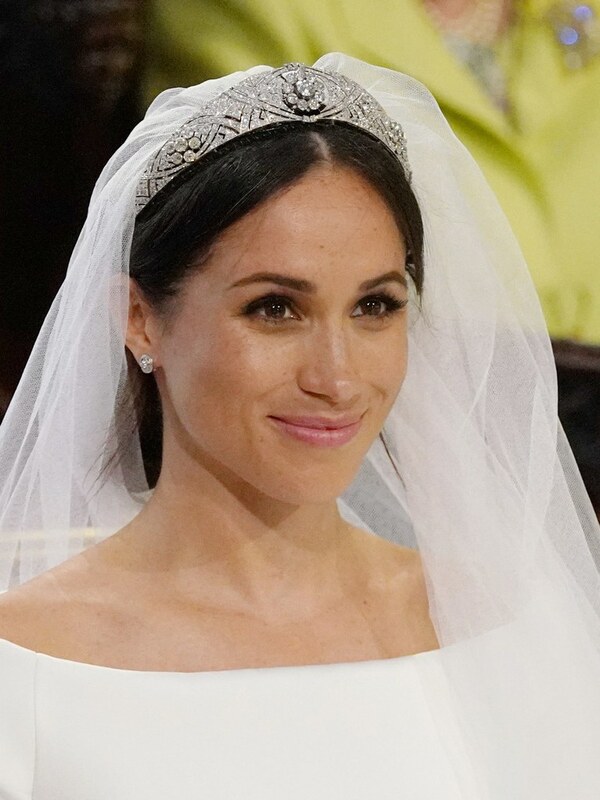 "Meghan's look was timeless and can be achieved by using lightweight textures. Good skincare and skin prep is paramount for a look this light and to produce the "glow from within" that Meghan exuded on the day. Her foundation was sheer and low coverage allowing her freckles to come through. Good options include MAC Face and Body, Nars Pure Radiant Tinted Moisturiser or Marc Jacobs Shameless foundation. Bronze, taupe and chocolate shades were used on the eyes which were also rimmed and lined with kohl. The blush looked like her cheeks were naturally flushed with colour and cream textures like the Stila Convertible Colours are the best for achieving this finish." Although small, Meghan's bouquet had huge sentimental significance in honouring Princess Diana. The bouquet was filled with the late Princess's favourite flower the forget-me-not, which were hand picked by Prince Harry himself. For the modern bride, the styling of a smaller bouquet can not only be more cost effective, but exudes understated chic, and Wedding-inspo giant Pinterest confirms it. In their 2018 wedding report Pinterest stated that searches for 'small arrangements' had spiked by +118%. Pinterest and Royal approved? We think this trend is a winner. This trend won't be for everyone, but its one we personally love. There are many reasons you might be thinking of walking the aisle solo. Maybe its to honour the loved one you always thought would be there to give you away, perhaps its to symbolise your strength and independence, or maybe you just want to give your photographer the chance to capture your walk. We think 2018 is the year to embrace giving yourself away. Now this is a trend we can get on board with! 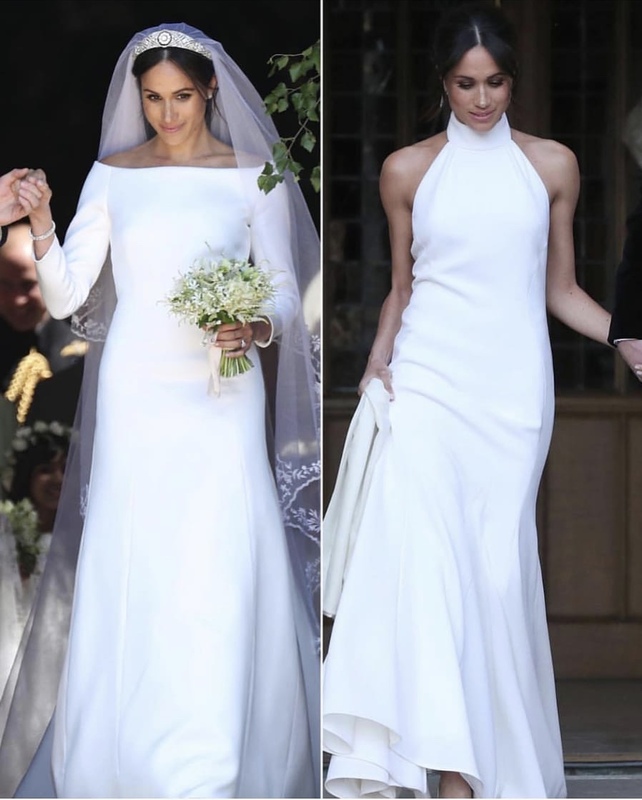 Meghan looked a vision in both her ceremony dress (Givenchy by Claire Waight Keller) and reception gown (Stella McCartney). While no one can deny both Meghans choices were grandeur and elegant the absence of accessories and embellishment was certainly noticed. From what we have seen, when a modern bride opts for two gowns on her big day, usually they will both showcase a different style. Something more traditional for the ceremony, and a bit of fun - or even a shorter party dress for the reception. This trend is a pricey one, but can certainly be worth the investment. However, we won't encourage a second dress just for the sake of it, the most important aspect of the two-dress trend, is to find two gowns you love equally. This trend is something your new Hubby will certainly be on board with. Traditionally, prestige wedding vehicles are used to showcase the arrival or the bride and groom. But, in one of the many modern twists of their wedding, the new Duke and Duchess chose to do things a little differently. 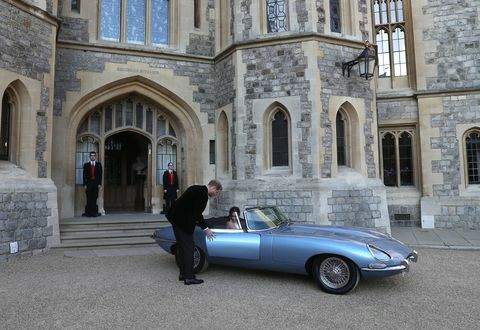 Usually, when the bride arrives the wedding guests will have already taken their seats, meaning many miss out on the delight of the wedding car! In the age of photo sharing and social media, being able to share this special wedding treat with your guests, as well as adding a luxury element to your wedding pics will certainly a trend worth considering.